After 2 Integras and 3 TSXs, leased to buy this one. Very nice. I did not get the nose decorations with mine. I almost got the base since they have a lot more features that have trickled down from Tech and maybe Advance. I went with tech because I rely on the cross traffic monitor on the rear camera. I also like the fact that some gadgets trickled down from the advance package. I am still learning about the new features. I found that I have the AAC, whatever it is called that maintains the following speed when in cruise control. I also found out that I have buttons on my rear doors that I did not have before. I am not sure when the HUD alert came out. That is new to me. The walkaway lock up feature is enjoyable to use. 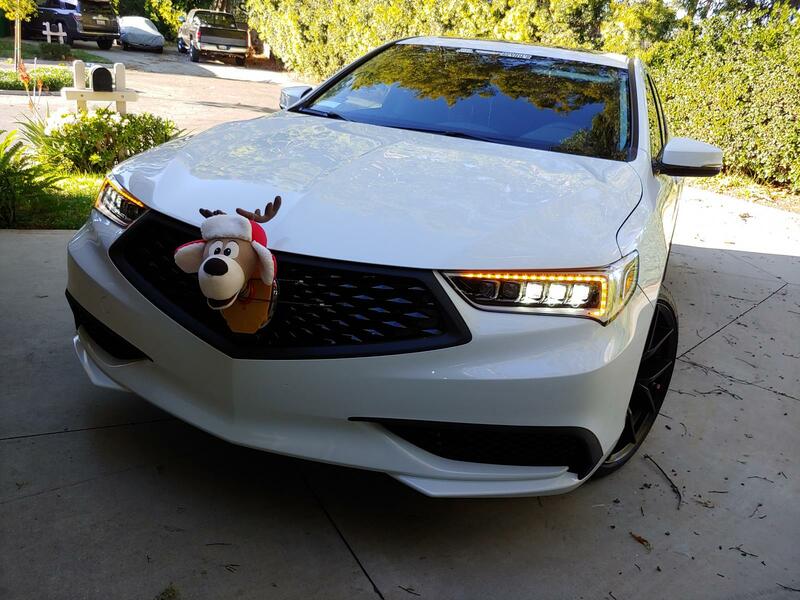 Your TLX looks the business bro! Did you plasti-dip the rims and chrome trim? And whose car is that in the driveway? Also yours? 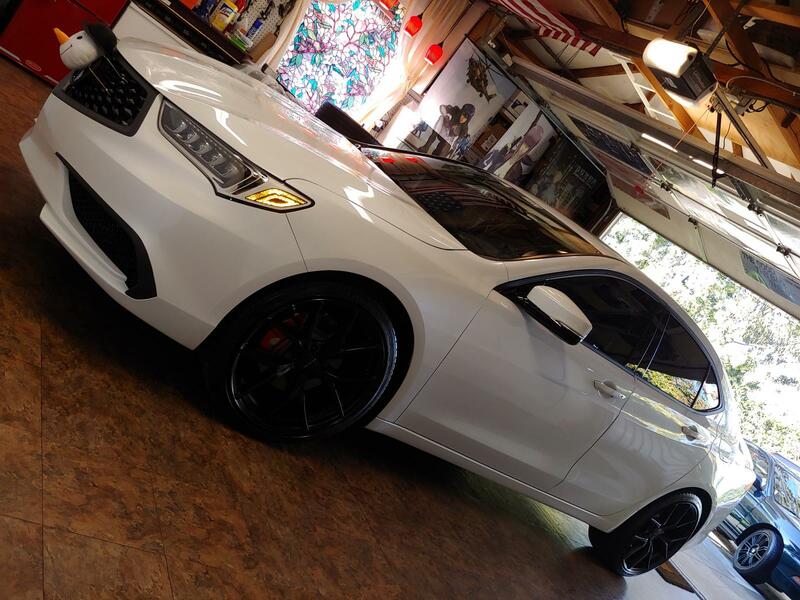 2015 Acura TLX V6 FWD, Black Interior & Exterior, U.S. Model, w/66K mi.